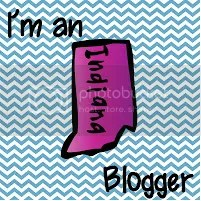 I’ve left it blank so that you can write words in for any word family, sight words, numbers, etc. To play this game, you program a blank die with whatever you want your students to practice. Sight words, word families, etc. Fill those in in the smaller boxes on the left. The children roll the dice (you can use two dice for word families if you want, divide up the words into initial consonants and word family parts) bl (on one die) ow (on the other die). 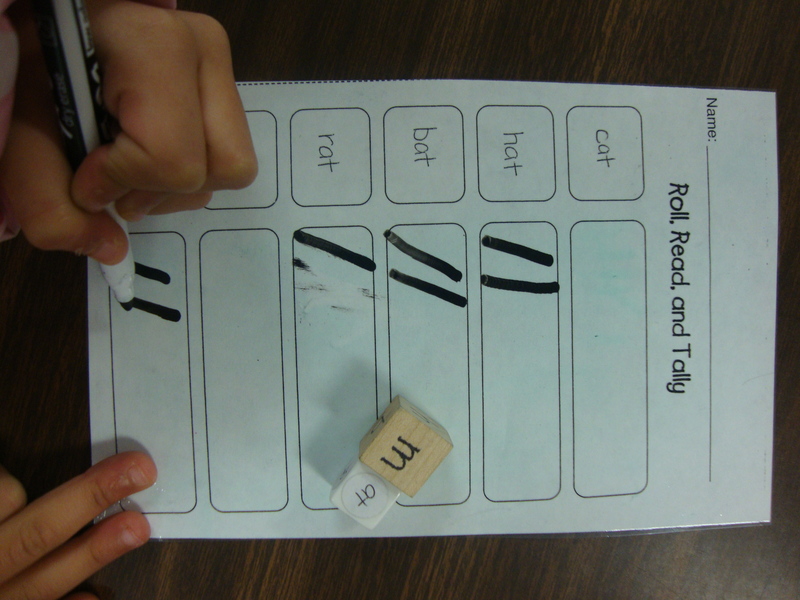 When the children roll a word, they make a tally mark in the box next to the word and roll the word again. We’ve been working on the -at family for a little while now. We’ll learn about a new word family soon, but I wanted to share two ideas for introducing the -at family. This chart we made right after halloween. I had it all planned out, but the kids didn’t know that! 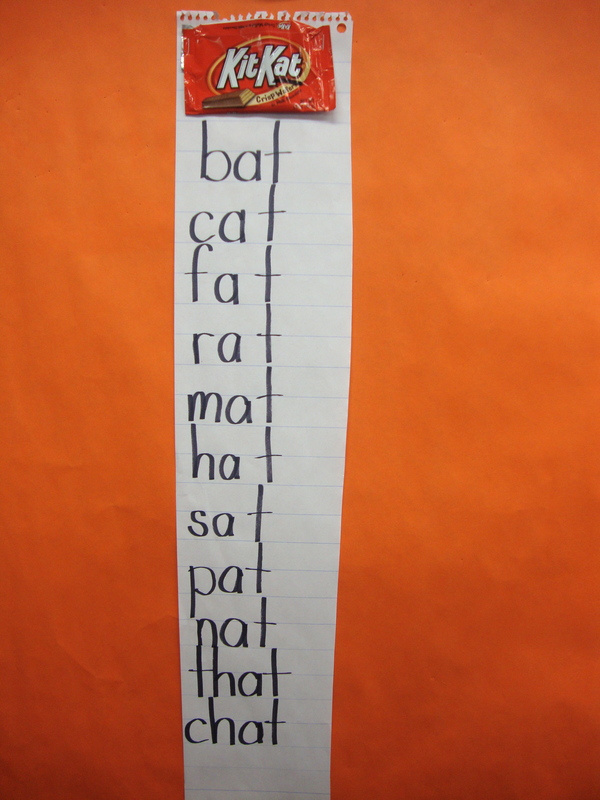 We were reading Five Little Bats Flying in the Night and someone noticed that “bat” rhymed with our sight word “at”. We started talking about all the other words that also rhymed and decided to make a list of them. One of my other students happened to find a Kit Kat bar in her lunch that day and let us have the wrapper to head up our “-at” family list. I may have shown this last year, but I thought it was worth showing again. This is one of the games I have in my ABC/Word Work Station right now. The children roll the two dice and make tally marks next to the appropriate word. They keep playing until one word gets 10 tally marks. I laminated them so the kids can use a dry erase marker on them and erase when they are done.